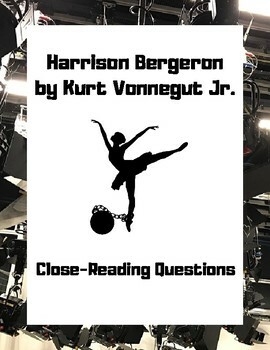 This worksheet contains a variety of questions to be answered after reading “Harrison Bergeron” by Kurt Vonnegut Jr., and would be perfect with any dystopian fiction unit! 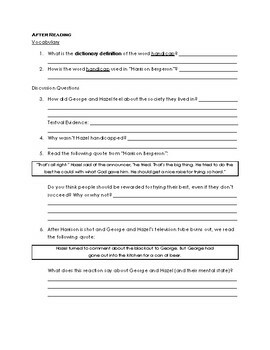 If you like this worksheet, please leave feedback! For other resources and ideas, feel free to follow me or check out my store! Note: This product is for single classroom use only, and may not be copied, modified, or shared in any way.